Bust out those crayons, because it’s time for National Coloring Day! As a follow-up to the National Coloring Book Day in August, this holiday expands the coloring experience into all sorts of artsy mediums. Honestly, when was the last time you found yourself coloring? Maybe you were babysitting or at home with the kids. Maybe you picked up one of those adult coloring books that are all the rage. Maybe you can’t even remember the last time you colored anything, because maybe you think that coloring is just for children. Wrong! 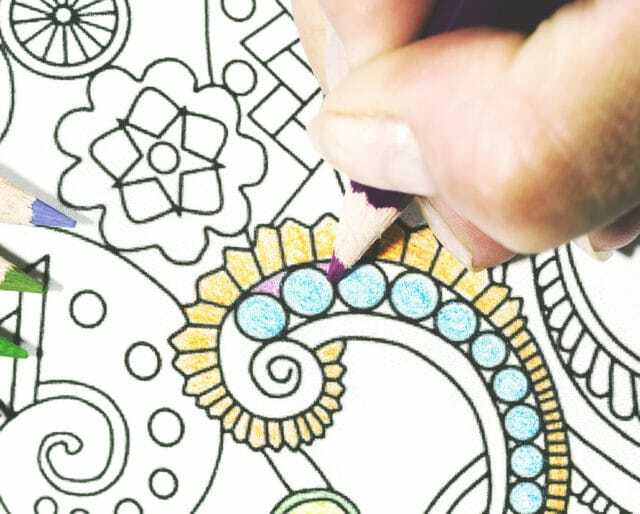 With the latest craze of adult coloring books and related studies about how coloring improves overall wellness, it’s hard to say that coloring is just for kids anymore. Coloring is good for people of all ages, and the best part is that we can all color together, no matter our various skill levels. Whether it’s been decades or merely days, National Coloring Day is all about inspiring us to set aside some time for ourselves and simply color something. You can use paper and crayons, colored pencils, or markers. Give oil pastels a try, or maybe even paint. For National Coloring Day on September 14, we invite you to roll up your sleeves, grab something with pigment, and get coloring! Whether you like crayons, colored pencils and pens, or even permanent markers, there are definitely some art supplies out there with your name all over them. Grab your favorite materials and sit down with some paper or a nice coloring book. If you don't have a coloring book, there are plenty of free pages online you can download and print at home. Or try coming up with your own lines to color inside. Doodle art like zentangles are a great freeform way to create your very own coloring templates, and they make your finished piece completely unique. People love parties, and you can share the joys of coloring with all your friends on National Coloring Day. Pick up a few packs of colored pencils and snag a coloring book with perforated pages so they'll tear cleanly out of the book. Spread out the pages along your table and counters, and let your friends each pick a page they like. Then share the colored pencils and socialize while you color. Coloring parties are inexpensive, especially if you ask each guest to bring some supplies, and they're a great way to bring some community to a generally individual activity. A lot of schools are experiencing reduced budgets, and many fine arts programs in schools have suffered cuts in funding over the past decade. On National Coloring Day, why not make a difference and bring coloring back to the kids at your local school? If you're not looking to make a school donation, check out the community library near you. Many libraries offer after-school activities to local youth, and thanks to your generous donation, coloring might just become one of their favorite activities. It might seem like adult coloring suddenly became popular out of nowhere. But studies have shown that coloring is a profoundly beneficial hobby. The activity of coloring is both creative and repetitive, allowing your mind to get absorbed in what you're doing and let some of those high-level cognitive functions take a break. Coloring is also wordless, which lets your linguistic processes take a breather too. These mind relaxation benefits produce a world of good, including reduced stress hormone levels, improved sense of achievement, and even an increase in self-awareness. All those health benefits aside, coloring is really enjoyable unto itself. As you relax and start coloring, you can practically feel your creativity flowing faster. All those bombarding thoughts you have all day long start to lighten up, and for a little while at least, you're not focused on what you need to get done later or how you should have done things earlier. Coloring is your gateway into the present moment, a mind-free zone where you can really enjoy what you're doing for the pure sake of enjoying what you're doing. Nobody makes art to have a finished piece of art; we make it because we like the act itself. Coloring books are amazing, but there's already a whole day dedicated to them! National Coloring Day certainly doesn't exclude coloring books — they are a wonderful and convenient option that get a lot of folks to start coloring. But National Coloring Day is about so much more than the pages of your favorite coloring book. This holiday calls on us to get extra creative with our coloring, to take on new mediums, and to color outside those lines.